Emulsion Resin Plant offered are used for getting end product Emulsion that comprises solvent free binders finding application in preparation of paints as well as coatings. Manufactured through polymerization process where monomers are dispersed in aqueous phase for getting uniform & stable emulsion, these paints as well as coatings which are based on emulsion systems deliver quality performance and are also environment friendly. 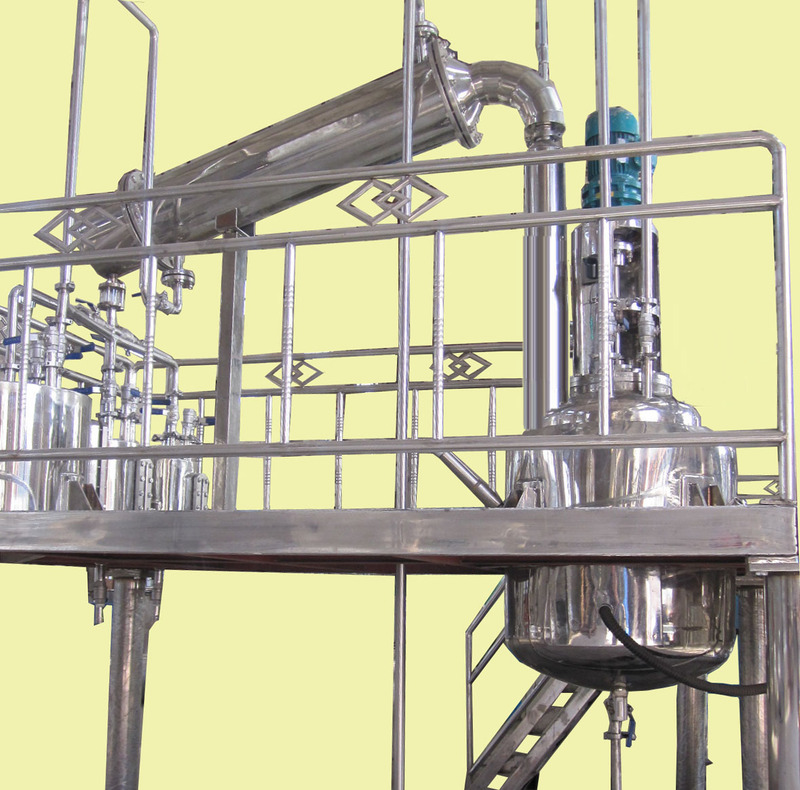 Jacketed Reaction Vessel consist of a Cylindrical vertical shell with standard torospherical dish on both ends. (Synthetic Homo Polymer and Co-Polymer) Emulsion is the core element of any water based paint. All paints are combinations of pigments (colorant) emulsions and water. Along with three ingredients – several additives are used in small quantities. The additives perform several key functions. The additives are generally wetting agents, helping in dispersion, anti settling agent, body agent, flow and leveling additives, driers, gloss improvers and many others. Whenever we manufacture emulsion we are involved in a long process of 9 to 10 hrs where a DM / DI (Deminerlised) water about 50% and remaining raw material Vinyl – acetate monomer about 35 to 40 % and other chemicals such as catalyst, initiators, surfactants, wetting agent are added. The reaction temperature is about 75 to 80°. As this process is exothermic a small initial heating will helps in enhancing reaction and completion of process, in intermediate sample testing and the controlling the temperature within desired limit is essential to get excellent product.